A thoughtful holiday remembrance of loved ones. 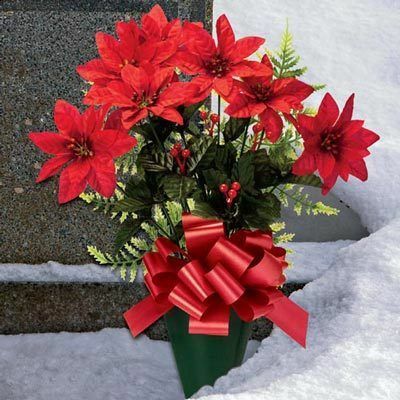 Our memorial poinsettia arrangement features silken polyester blooms and greenery, seasonal red bow and green metal holder with metal stake. Imported. 21"h.